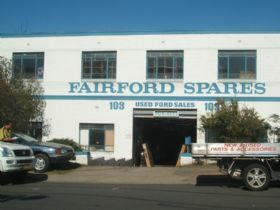 Fairford Spares has been trading for over forty years and specialises in Ford genuine new parts and second hand parts from Ford, Holden and Mazda. 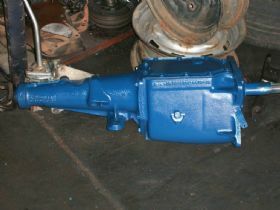 We also have a major focus on performance parts and the importation of Ford parts from the United States. I acquired the business eight years ago and with a team of six staff we have continued to build on the companys reputation for customer service, expansive inventory and performance related products and services. 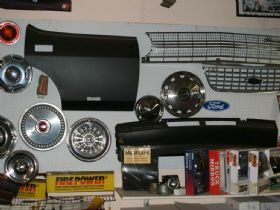 We dismantle Ford cars from early XM vehicles through to current models so if you need some parts the chances are we have it in stock. 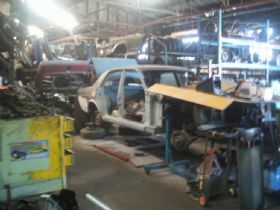 We also have a licensed workshop complete with three bays and three hoists to enable us to work on customers cars and provide a wide range of services to Ford enthusiasts. Our company motto is provide the right part the first time and the expertise, knowledge and inventory accumulated over forty years of trading has led to Fairford Spares being referred by other wrecking yards across the country. 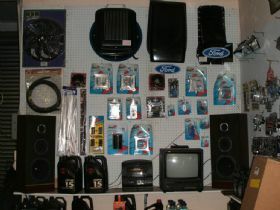 The NOS parts include electrical components, body panels and gearboxes and we have a lot of rare and hard to find to find parts in stock. If we dont have something a customer is looking for we know where to source it if it is available and through our network have been able to help many customers with their restoration and maintenance projects. 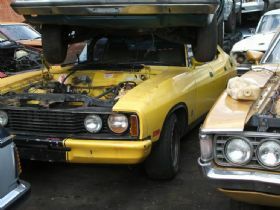 One of our specialties is nuts and bolts for early Fords and for many years the company was nicknamed the Ford Hospital. 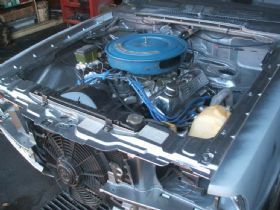 We import a lot of Ford stuff from America including American engine blocks, Ford Mustang parts, Ford Galaxie parts and we provide a sourcing service to customers. This entails the customer providing us with necessary parts information, model, year and any other relevant details and we will source the parts from America through our network of contacts. Large sections of our customer base are into performance modifications and we provide parts and installation services to meet this demand. We specialise in high performance engines for street and strip applications and import performance crate engines and blocks. We also supply all the necessary performance parts to assist customers doing their own build including pistons, rods, crank and cam shafts, distributors, manifolds and carburettors. 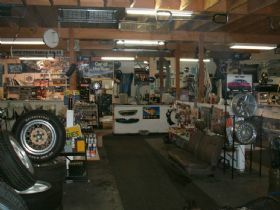 To complement the spare parts business we provide an array of services through our licensed workshop. 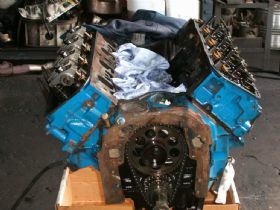 We perform engine builds, remove and replace motors, install second hand motors and perform routine maintenance on Fords including anything from a basic transmission service, repairing differentials and wiring right through to the installation of five hundred plus horsepower engines. 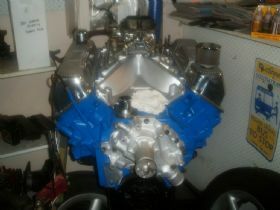 If you require any job on your Ford, we can do it for you. We prepare a lot of Fords for drag racing and are heavily involved in conversions of Capris and Cortinas to race ready specifications. This involves installing V8 engines, strengthening the entire drive train with nine inch diffs and tuff gearboxes, drive shaft loops and disc brake packages. We also tune customer cars and have done this at Eastern Creek to allow customers to get the possible ETs on the day. We work closely with a couple of certified engineers for customers wanting to street register their cars. The engineers come to the workshop where we discuss the guidelines we have for a customer build and we work with them to ensure any government mandated specifications are met so that for the final inspection there are no surprises. The staff are all Ford enthusiasts and after five years of enjoyment I have just sold my AC Cobra but plans are already on the drawing board to build another one in the near future. 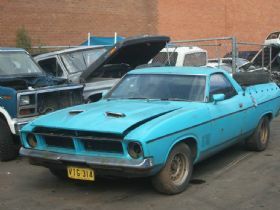 Fairford Spares sponsors an all Australian drag car, a BF Falcon ute putting out 1500 horsepower, in the Outlaws class. We have also been involved in sponsoring a couple of kids in Formula Fords and two drag cars at Eastern Creek, NSW. If you need local or American Ford parts, performance parts or want a full mechanical build to your specifications give us a call or drop by the shop as we would be happy to discuss your requirements with you. The business is open from 8.00 to 5.00 Monday to Friday and 8.00 to 2.00 on Saturday.